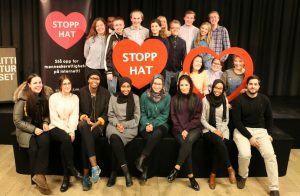 The No Hate Speech Movement National Campaign Committee in Norway calls for youth participants age 16-26 for «Taking action against hate!» a Nordic training seminar on Counter and Alternative narratives from 17th to 20th of June at “Himmel og Hav conference center” in Stavanger, Norway. The participants will develop skills and attitudes to counter hate speech and produce their own counter speech to be disseminated online and/or offline. These may be in the form of campaigns, actions, videos, memes, texts, music, art, posters, infographics, interviews, documentaries, storytelling, etc. 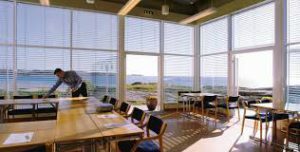 A delegation from the seminar will bring a youth message to the conference of the Nordic Council of Ministers focusing on hate speech and gender perspectives. Costs for travel to and from, food and accomodation in the duration of the conference is covered. TILBAKEVil du være et forbilde og bekjempe hatprat på nett? Bli Stopp hatprat-ambassadør!